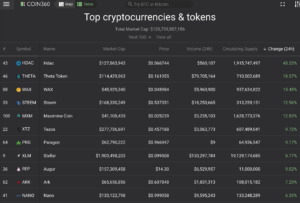 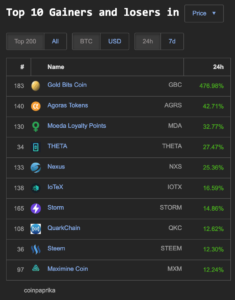 In the top 100 in cryptocurrency market cap there are five coins with double digit percentage gains on coin360.io: HDAC 48%, Theta Token (THETA) 18%, WAX 15%, STEEM 12% ad Maximine Coin (MXM) 12%. 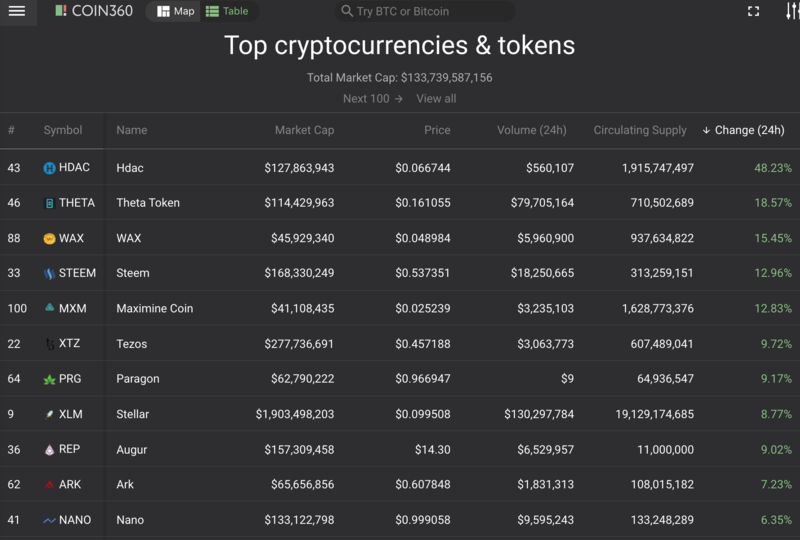 Cryptocurrency Market top 100 in market cap gainers. 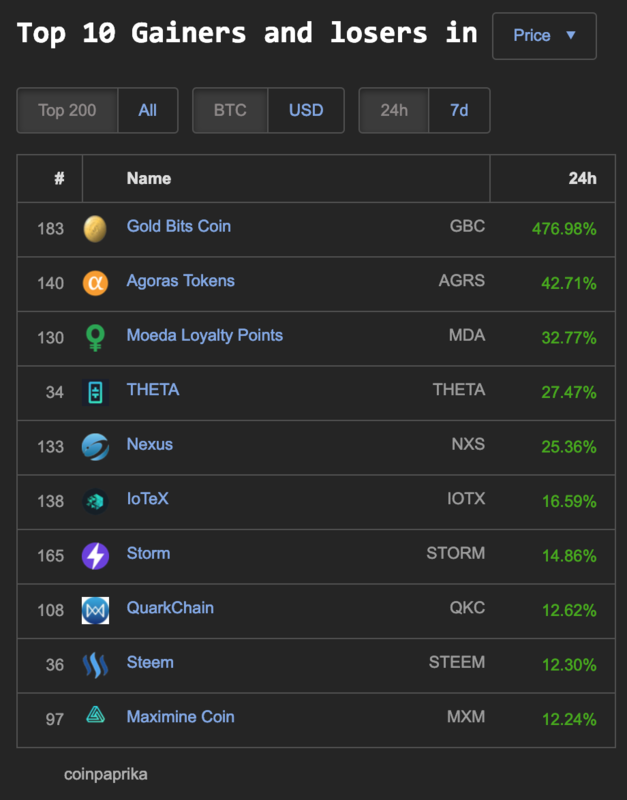 In the top 200 market cap there are nine coins on Coinpaprika.com that have double digit percentage gains and one with triple digit gains: Gold Bits Coin (GBC) 476%, Agoras Tokens (AGRS) 42%, Moeda Loyalty Points (MDA) 32%, THETA 27%, Nexus (NXS) 25%, IoTeX (IOTX) 16%, STORM 14%, QuarkChain (QKC) 12%, STEEM 12% and Maximine Coin (MXM) 12%. 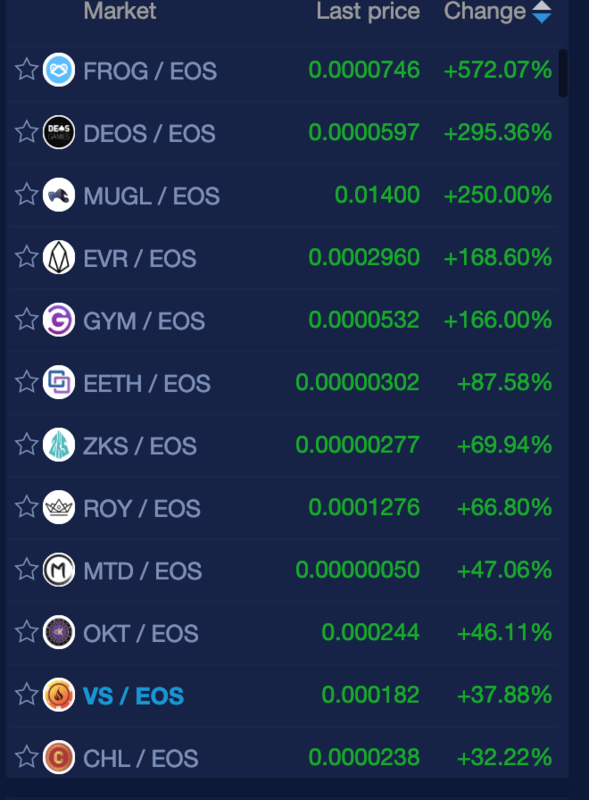 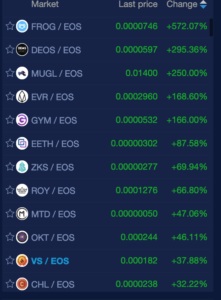 Five coins with 100+ percent gains found trading with EOS.